Traveling can be very exciting. But not when you can’t sleep. And especially when you can’t sleep because of sleep apnea. Thankfully, there is a solution. Let us share our reviews of 3 best travel CPAP machines plus some travel tips. Trust us, after reading this guide, every journey you take will be comfortable and worry-free! 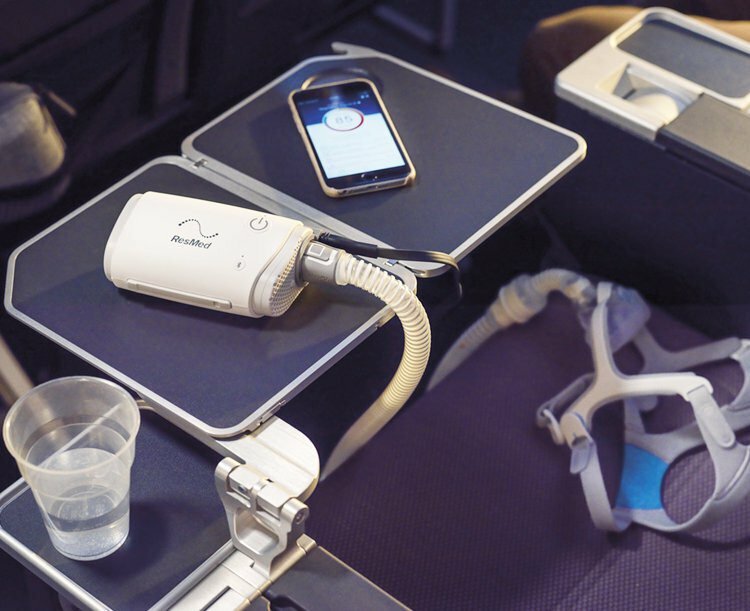 Can You Take and Use a CPAP Machine on a Plane? Preparing for a Trip: What CPAP Supplies to Pack? What to Consider When Shopping for a Travel CPAP Machine? Did you know that almost one billion people worldwide suffer from sleep apnea? This condition disrupts their sleep and makes traveling more complicated. Now, you probably know why. Because sleep apnea involves abrupt breathing interruptions. Basically, you stop breathing for short moments. And this happens multiple times during the night. The average number of breathing interruptions is 30, but some people can experience this unpleasant sensation up to 100 times a night! If this messes up your sleep (and, consequently, everyday life), can you imagine how hard it is to travel with this condition? I bet you do. First of all, it’s hard enough to sleep on a plane even when you don’t have sleep apnea. And with this condition, the task is several times more challenging. Additionally, if you do manage to fall asleep, you might start snoring (which is a common symptom of sleep apnea). And this will disturb other passengers and will make you very uncomfortable. That’s when portable breathing machines come in handy, or CPAP devices. They are designed to be used on the go. Most of them are self-powered and can be used on the plane (train, car, etc.). 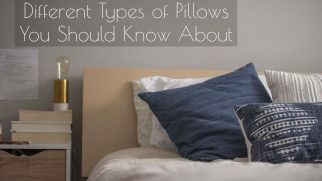 And most importantly, they help sleep apnea patients breathe and sleep better. So, you’ve packed your suitcase, grabbed your favorite travel pillow, and you are ready to go. But what about your small CPAP machine? Can you use it on a plane? However, you need to follow a few rules. First off, get ready to have your machine scanned and checked. If you are worried about sanitary issues, you can ask a security officer to use a new pair of gloves. Before scanning, you can put the machine into a plastic bag. The tubes and the mask may remain in the case. Secondly, you might want to take your doctor’s letter/prescription with you to prove that you require your portable CPAP machine. And that’s it, you don’t need anything else. Now, airport and security workers are familiar with CPAP devices, so there shouldn’t be any extra questions addressed to you. However, if you are feeling anxious, you can contact your airline representative. Ask them about the conditions under which you can use your CPAP device on the plane. They will gladly answer all your questions. 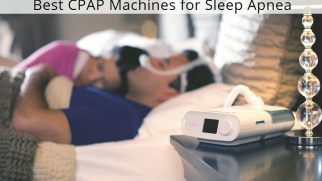 Once you have picked the top-rated travel CPAP machine for yourself, you can travel safely and sleep restfully on a plane. But what other accessories and supplies should you prepare and pack before the flight? earplugs and eye mask (to reduce the disturbances and sleep better on the plane). Of course, these are just the ideas of what might come in handy during your travels. Think about the things you use daily and maybe you will add something to this list. Many people feel nervous before the trip. And that’s totally fine. Drain the humidifier if your portable CPAP has one. Most airlines do not allow passengers to carry containers that hold more than 100 ml of liquid. Plus, leaving the water inside the machine for a long period of time might actually damage the device. Inquire about the usage. Some airlines do not allow the CPAP machines to be used in the air, so it’s better to call your airline’s representative and clarify this. Inquire about the power sources. In case you are allowed to use your travel CPAP machine on the plane, you might need to charge it, especially if the flight is very long. Find out if the airline you’re traveling with has power outlets near the seats. Be smart about the security check. First, you might want to put a medical equipment tag on your CPAP machine case. Before scanning, place it in a see-through plastic bag to protect it from the dirty conveyor. And stay near your machine to make sure nothing is misplaced during the check. Now, using a mini CPAP machine seems quite reasonable when traveling. And it has many advantages. But some downsides do exist, too. So, let’s look at the pros and cons to see whether this type of devices is suitable for you. Travel CPAP machines are quiet and lightweight. They don’t take too much space in the luggage and can be used anywhere as long as the battery is full. You can even use your portable CPAP for camping away from home. They have slim tubes. Again, such a design makes travel CPAP devices easy to pack and transport. Plus, they look less bulky. They work just as effectively as regular CPAP machines. This means you can sleep on a plane, train, in a car, in a tent, at a hotel, and pretty much anywhere life takes you. Many of these machines come with multiple mask options. You can find the one that feels the most comfortable for you or even buy multiple options and switch between them. Many portable CPAP machines don’t have a built-in humidifier. Using them for long periods of time might lead you to experience such side effects as dry mouth or sore throat. The battery life of some models is quite limited. Some of them are not suitable for long flights (unless you get an extra battery). Not all mini CPAP devices offer consistent performance. Some of them are hard to adjust, others offer weak responsiveness or limited pressure adjustments. 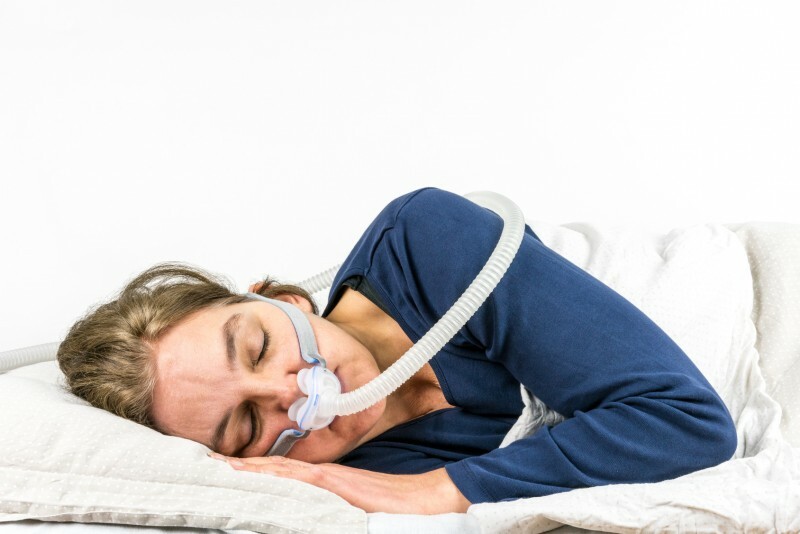 Some users feel very uncomfortable wearing a CPAP mask when being among other people. This might make you feel nervous during the flight and cause you trouble falling asleep. Are you still searching for the top-rated travel CPAP machine? Are you overwhelmed by the number of possible options and specifications? Size and weight. How much weight are you ready to carry around the airport? How much space your luggage allows for? Generally, all travel CPAP devices are quite small, but some are a bit bulkier than others. So, your choice will depend on how many additional pounds you are willing to carry around. Battery (type and capacity). Some users prefer built-in rechargeable batteries. Others buy CPAP machines with removable batteries, which allows them to carry an extra battery and use the device non-stop. You should figure out which option works best for you. Price. Determine your budget and how much you are ready to spend. There are high-end machines that cost more than $1,000, but you can also find simple models for around $200-300. Keep in mind, though, that cheaper options might be less durable. Humidifier. Not all portable CPAP machines come with a humidifier. And not all users require this feature. But if you suffer from nosebleeds, dry mouth, or irritated throat, you probably should give your preference to a model that has a built-in humidifier (or supports an external one). Airflow pressure range. Check with your doctor to see what range you need exactly and then simply match the numbers with the devices you are considering. Most models offer the range of 3 to 20cmH2O. Noise levels. Generally, portable CPAP machines are rather quiet. You might want to check the specs or even contact a company representative to get the exact data concerning each model. Travel CPAP machine reviews. Other people’s experiences should make up a big part of your decision, as they help you figure out how the device will work for you, how durable it is, and what flaws it has. 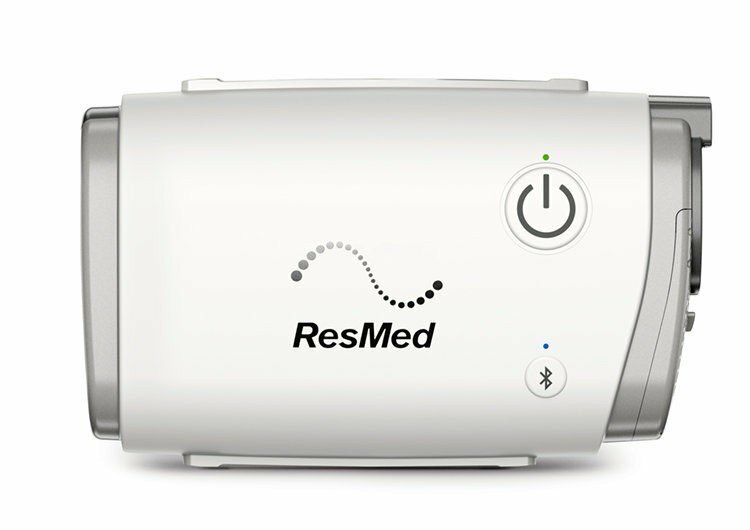 The first item on our list of the top-rated travel CPAP machines is this little device by ResMed. What makes it special is the combination of features it offers while being extremely lightweight, small, and portable. Weighing only 0.66 pounds, the AirMini allows users to take the therapy wherever they go. The machine works with fixed pressure but also has the AutoRamp feature (which increases the pressure gradually for a smooth transition), the SmartStart (activated by the user’s inhales), and the Expiratory Pressure Relief system (which lowers the pressure when the user exhales). Plus, this machine allows for therapy tracking. It also works with different masks types and features a waterless humidifier. Such an awesome set of features allows for flexibility in use. The coolest thing about this model is its flexibility. You can use it with different masks and try different settings. Plus, because the machine is so small and extremely lightweight, you can use it pretty much anywhere. The worst thing about this portable CPAP machine is its humidifier. Because it’s waterless, it cannot guaranty consistent operation. Many users note that after around 2 hours of use, the air is not humid enough and they start experiencing dry mouth and even coughing. 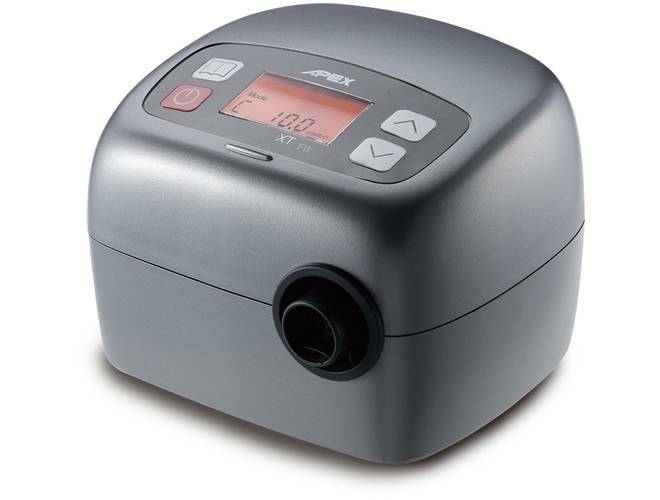 The next model that deserves to be called the best portable CPAP machine is this compact device by APEX. It’s cheap and perfect for frequent travels. Plus, it packs everything a regular CPAP machine should have. 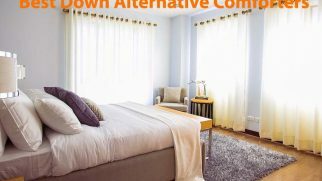 Despite being affordable and small, this model is really effective in helping users sleep when traveling. The AutoRamp feature works to adjust the pressure automatically but also allows users to do adjustments manually. There’s an auto altitude adjustment feature, which is perfect for people who travel by plane. The XT Fit also has a leak compensation system. It delivers a stable air pressure even when the mask’s sealing is compromised. As for the advantages, the biggest one is this machine’s value for money. It is one of the most budget-friendly models on the market. However, it does provide effective therapy. Now, the worst thing about this CPAP machine is the noise levels. Even though the device isn’t that loud, the sound of it working is still noticeable. So is the noise from the tube. This might annoy some users, especially light sleepers. 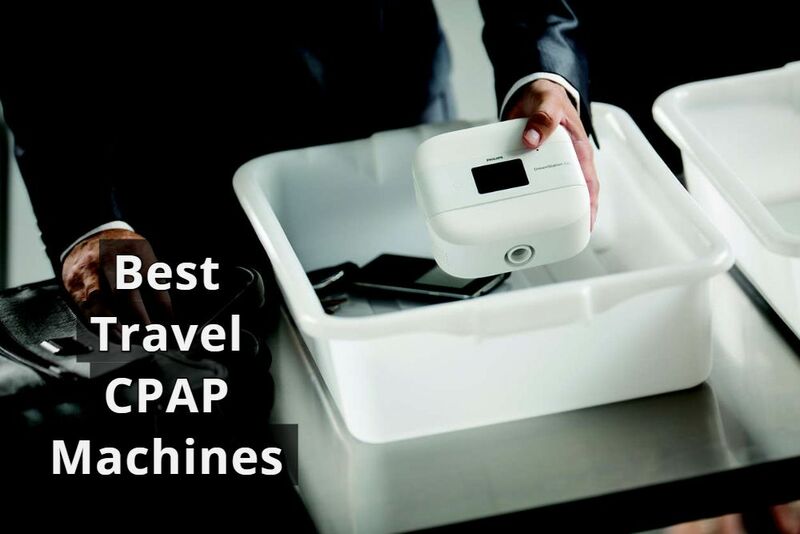 Another item on our list of the best travel CPAP machines is ideal for long flights. It is small, lightweight, and, most importantly, it works for hours on a single charge. It can become your best travel companion. Featuring a USB charging port, this battery powered CPAP machine can hold up for around 13 hours. The machine is extremely easy to use and has an intuitive touch screen. 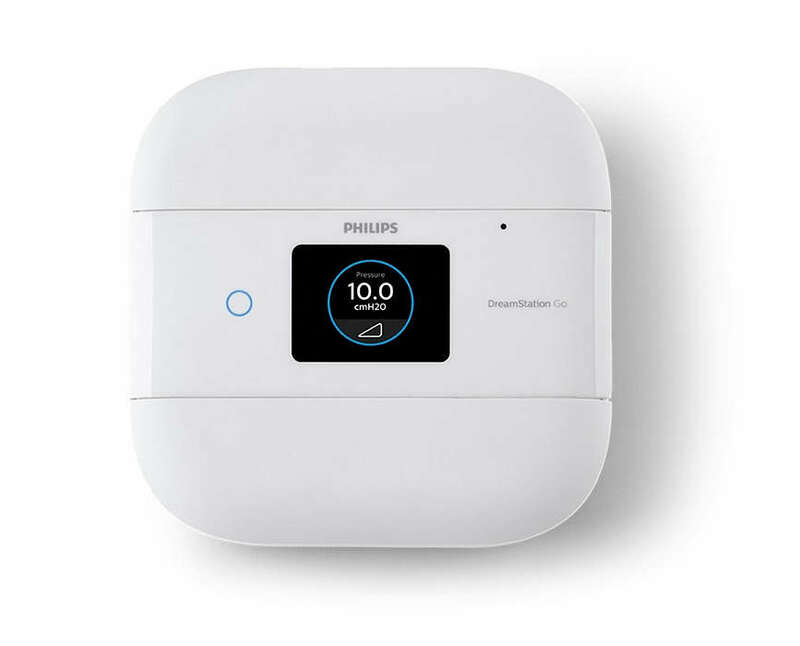 It allows for automatic altitude compensation, therapy tracking (and both onboard and MicroSD storage), and the Flex pressure relief system, which has 3 different settings and helps ease pressure when exhaling. The DreamStation Go also has sleek and compact tubing (only 12mm in diameter), which makes it super easy to pack and transport. The coolest thing about this model is its durable battery. It can help you sleep all night long, as you won’t have to make a pause to charge your CPAP machine. This makes it ideal for long flights or frequent travels. When it comes to drawbacks, the most serious one, in my opinion, is the absence of humidifier. Which might be even more disappointing when you see this device’s price. Who says you can’t travel and sleep on a plane when you have sleep apnea? With these small, lightweight CPAP devices, you can go anywhere and know that you will be able to get your breathing therapy and sleep. And the best thing is, there are models suited for every user. If you have a limited budget but need a good machine, go for the APEX XT Fit CPAP Machine. It doesn’t cost much but has all you need. If you have a bit more money and want something more flexible, try the ResMed AirMini. It gives users the freedom to try different setups. Plus, it’s totally travel-friendly. And if you want something with a long-lasting, reliable battery, consider the Respironics DreamStation Go Auto Machine. It will keep going all night while you get restful sleep. So, are you a frequent traveler? How do you manage to deal with sleep apnea when being on the road? Let us know in the comments!